RSVP and Roy Kapur Films ate set to join hands for a path breaking film titled Pihu, directed by national award winner Vinod Kapri. Their first collaboration – PIHU in their new avatars at RSVP and Roy Kapur Films, is a testament to their belief in content driven films. PIHU, directed by journalist turned filmmaker Vinod Kapri is a first for Indian cinema in every aspect. Circumstances lead to a 2 year old girl ‘Pihu’ being left alone in an apartment. What ensues, makes for an edge of the seat social thriller, based on a true story which is sure to blow your mind. The fact that it’s the only film in the history of our cinema to have just one character throughout, played by a 2 year old child makes this movie absolutely incredible. 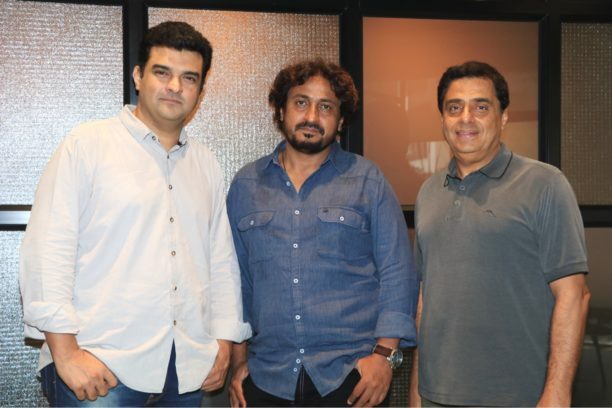 Much like they’ve done in past with Lunchbox, Shahid, Khosla ka Ghosla ,Udaan and so many others, Ronnie and Siddharth have identified the unique potential in Pihu to break norms of storytelling, push boundaries of narrative and discovered a fresh new directorial voice in Vinod Kapri. RSVP and Roy Kapur Films believe in presenting content driven films and are focused on delivering films backed by power packed performances by talented actors and directors. PIHU releases on the 3rd of August at a cinema near you. Roy Kapur Films (RKF) is a film and digital media production house founded by producer Siddharth Roy Kapur. RKF produces movies and digital content across scales and genres and has various noteworthy projects in the pipeline, including a biopic on Rakesh Sharma, the first Indian in space. Siddharth Roy Kapur is also the President of the Producers Guild of India and recently featured on Variety’s global list of 500 most influential leaders in entertainment. RSVP is Ronnie Screwvala’s production house that has set itself up to make entertaining and substantive movies. Producer Ronnie Screwvala believes in presenting content driven films and is focused on delivering films backed by power packed performances by talented actors and directors. RSVP has an exciting slate of films that are certain to release over the next 12 months. Kedarnath, Sonchiriya, URI and Karwaan to name a few.